You have only 2 days in Madrid? Don’t worry about it. 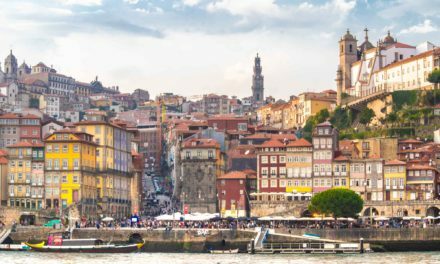 While the Spanish capital is home to some of the best museums, parks and even football teams of the world, two days are enough to introduce you to this marvelous city and the beauty of the Spanish culture. 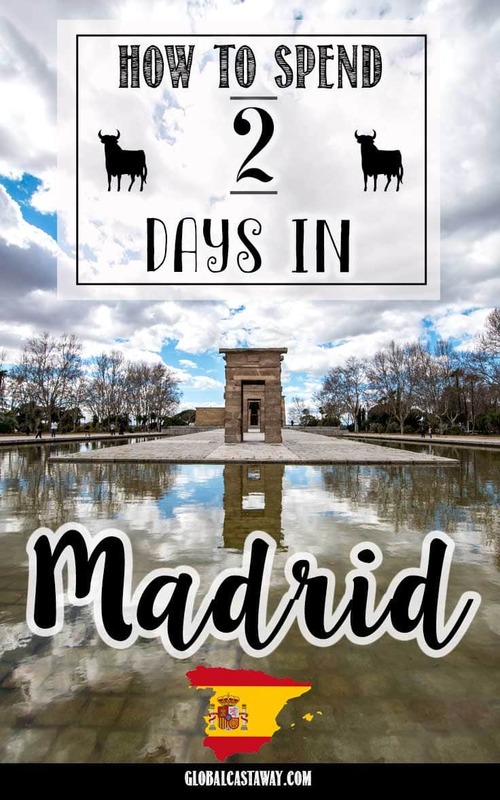 So what is the best way to spend 2 days in Madrid? 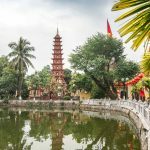 In this itinerary, it is assumed you have two full days in the city. Also, it’s best to have a hotel or BnB somewhere around the center area. While the transportation in Madrid is quite developed, it’s one of those cities that deserved to be explored by foot. 4.1 When to go to Madrid? 4.2 Where to stay in Madrid? 4.3 How to get around Madrid? 4.7 How to get from the airport to the center of Madrid? 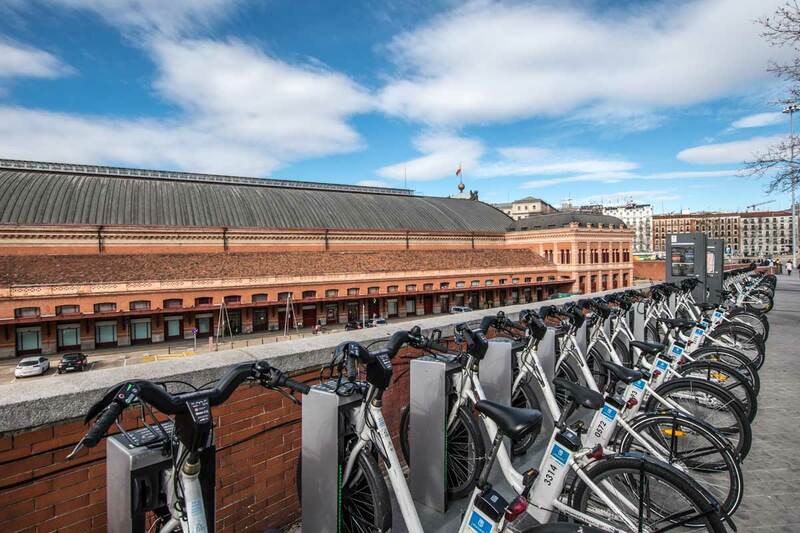 Start your 2 days in Madrid with one of the most emblematic places in the city. Puerta del Sol (The Sun Gate) is the biggest plaza in Madrid. 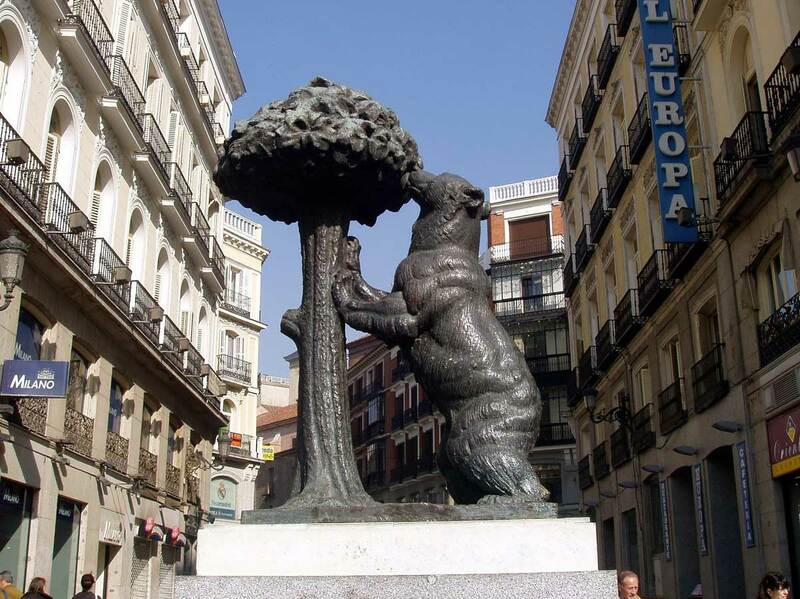 Packed with street performers and tourists, it is home to the most prominent symbol of Madrid – the Bear and the Strawberry tree statue. – Check out one of the most curious attractions of the square – The Kilometer 0. This is the spot from which all distances in Spain are measured. 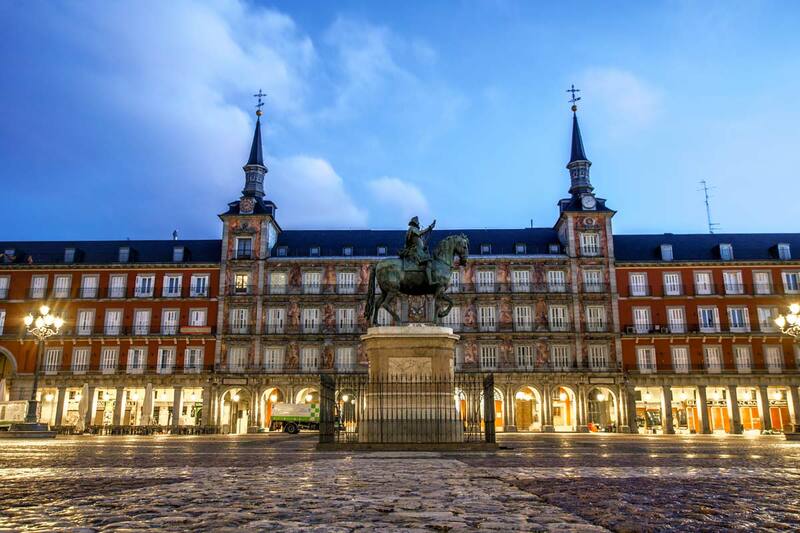 Few blocks from Puerta del Sol, there is another symbolic plaza of Madrid – Plaza Mayor. Build in 1619 during the reign of Phillip III, today this rectangular square is a favorite gathering place for locals and tourist alike. The typical baroque architecture that surrounds the plaza makes it a perfect spot to sit, get a coffee and feel the vibe of old classical Europe. 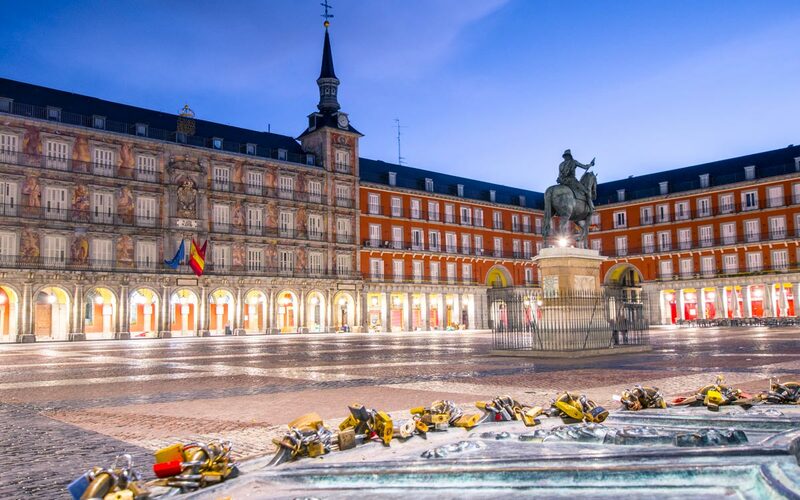 Less than 10 minutes walk from Plaza Mayor is The Royal Palace of Madrid, also known as Palacio Real de Madrid. 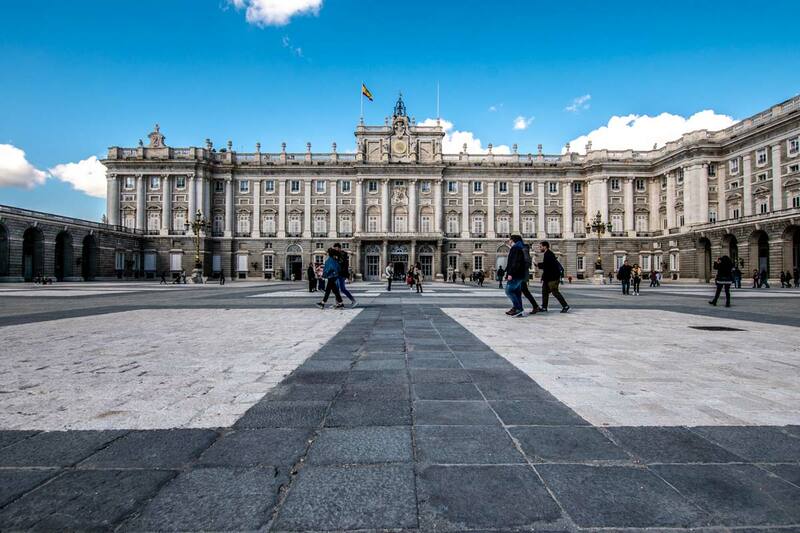 Built on top of the previous palace (which burned out on the Christmas eve of 1734) the royal residence is one of Madrid’s biggest attractions. As impressive as it looks from the outside, it is nothing compared to the interior. 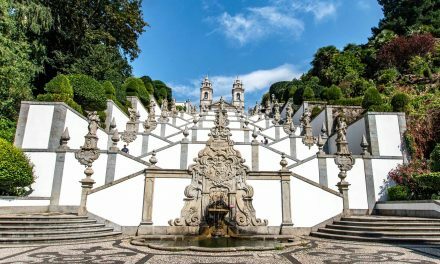 With its size of 135,000 square meters, it is the largest Royal Palace in Europe, and I dare to say – one of the most embellished ones. 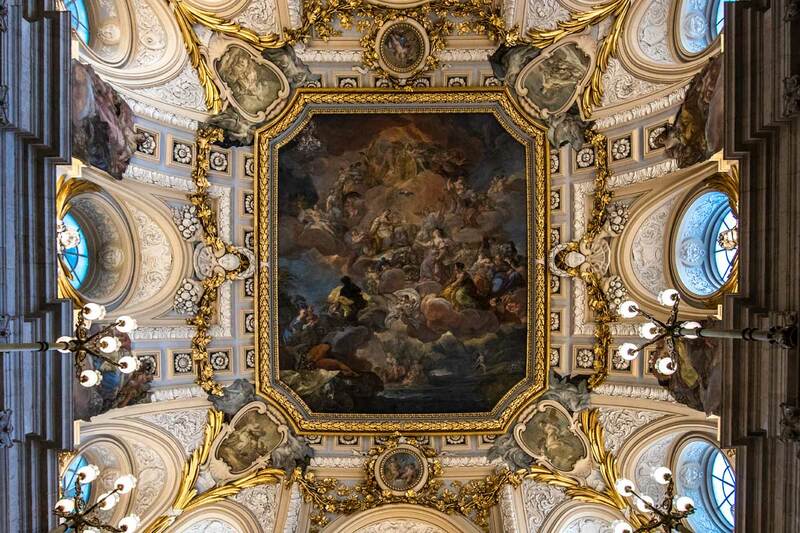 Paintings of Goya and Velasques, Stradivarius fiddles and the royal crown jewels are only part of the riches the palace holds. Also, don’t miss the royal armory with its life-size armored knights and fancy imperial weapons. – Make sure you check out the Plaza de Oriente next to the palace. The statue of Philipp IV is designed by Velasquez himself with the help of Galileo Galilei (yep, the same Galileo who found out the earth is not flat)! – If you want to use the free entry, make sure to get there at least half an hour before it starts, and prepare to wait quite a bit on the line. – Winter (October to March): 10:00 – 18:00. – Summer hours (April to September): 10:00 – 20:00. – Admission to the Palace close one hour earlier. – From Monday to Thursday, the last 2 hours of the day are free entry. It’s valid only for EU or US citizens. However, I didn’t see anyone asked for their ID. 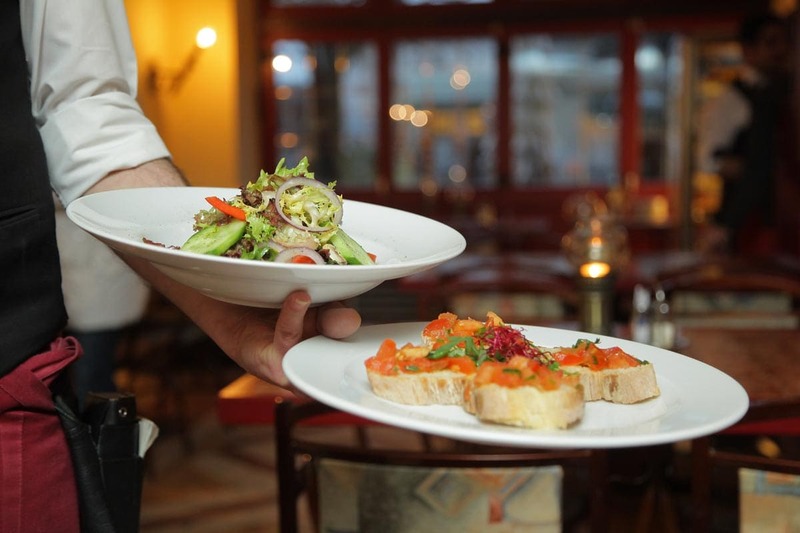 To try tapas in Madrid is one of the 1700+ ideas I have on my bucket list. See what else is on it! Time for another Plaza guys. Plaza de España is a little bit different than the other two plazas you visited today. 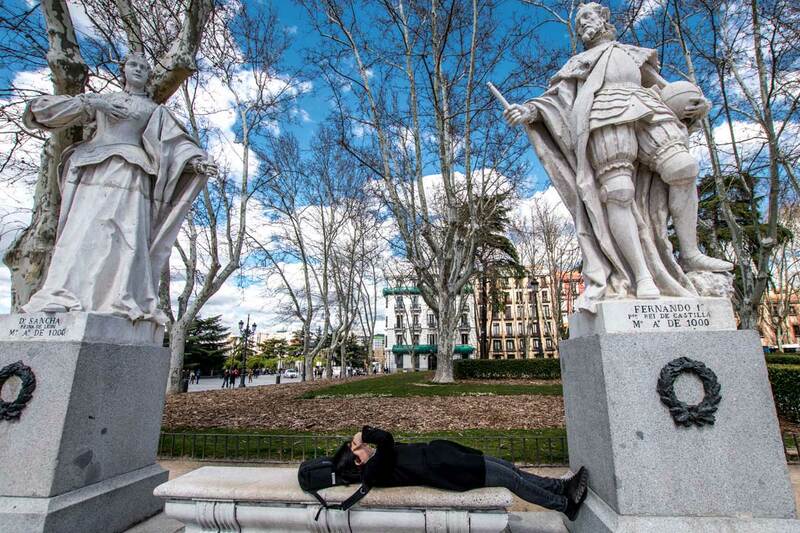 The square part is nothing special; what’s special is the grand memorial of the most famous Spanish writer – Miguel de Cervantes. 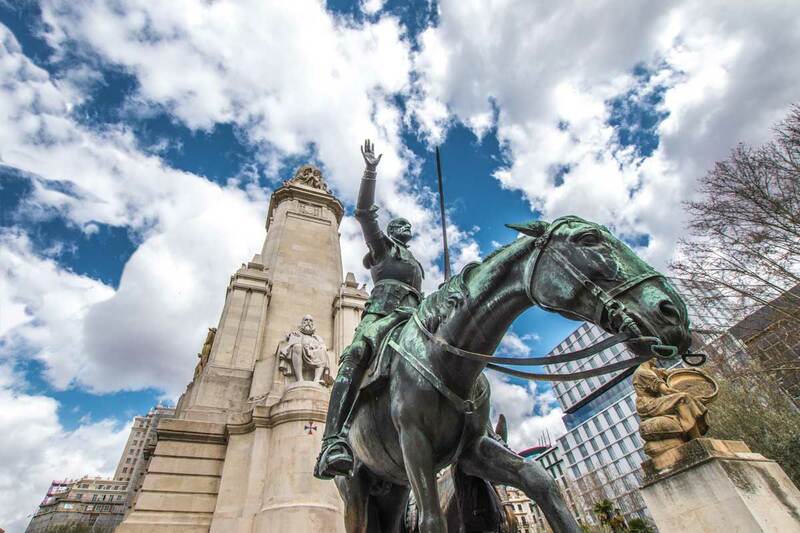 Beneath the sculpture of Cervantes are his most prominent characters – the most famous knight of Spain – Don-Quixote de la Mancha and his trusty squire- Sancho Panza. The novel of Don Quixote was published in two volumes – in 1605 and 1615, and it’s considered the most influential book of the Spanish literature and a founding work of the modern western literature. It’s a book I personally love, and if you haven’t read it yet, I strongly recommend you to do it. 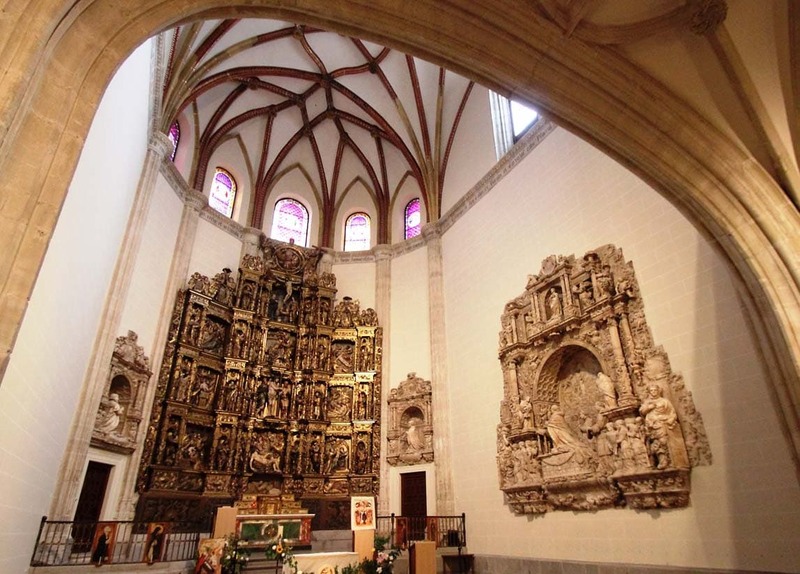 – If you want to visit the grave of Miguel de Cervantes, he is buried in the Trinitarias convent near Plaza Santa Ana. – On the left side of the Don-Quixote statue is his beloved – Miss Dulcinea del Toboso, represented the way he sees her – as the most beautiful woman in the world. – On the right of Sancho Panza statue though, it’s the real image of the woman, the way everybody else sees her – as Aldonza Lorenzo, the best pig breeder in town. 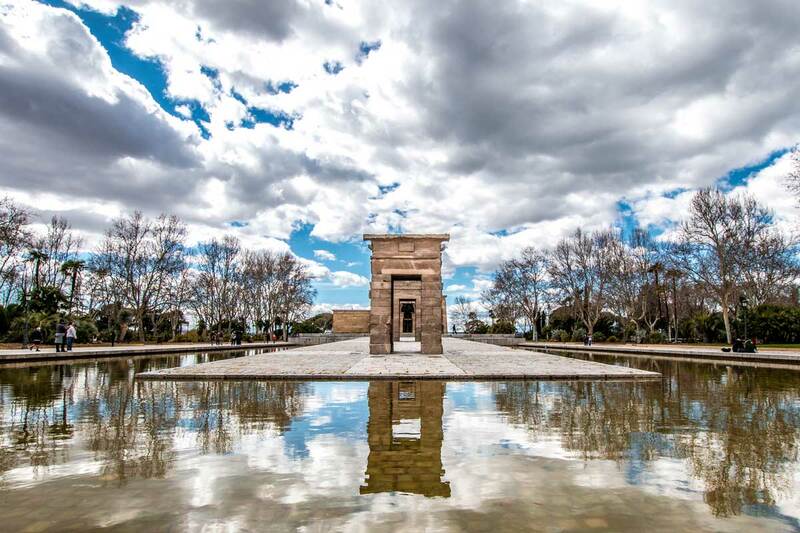 Did you know there is an entirely original Egyptian temple in the middle of Madrid? Me neither. The shrine dedicated to the goddess Isis was initially erected next to Aswan in the early second century BC. In 1960 however, due to the constructions of the Aswan High Dam, it had to be removed so as a sign of gratitude to Spain for helping with the save of the Abu Simbel temples, the Egyptian government donated the temple to Madrid. There is no better way to finish the first of your two days in Madrid than having a picnic next to the Debod temple while enjoying the sunset. 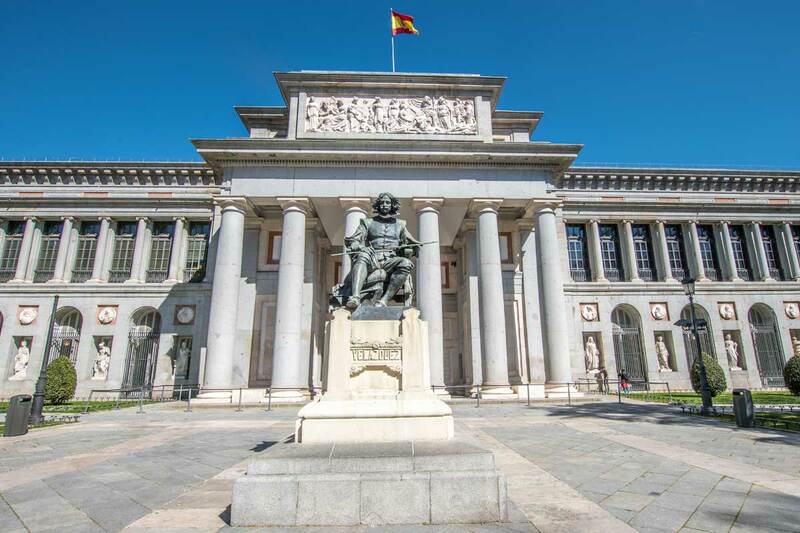 Start your second day with a visit to one of the very best art museums in the world – Museo del Prado. 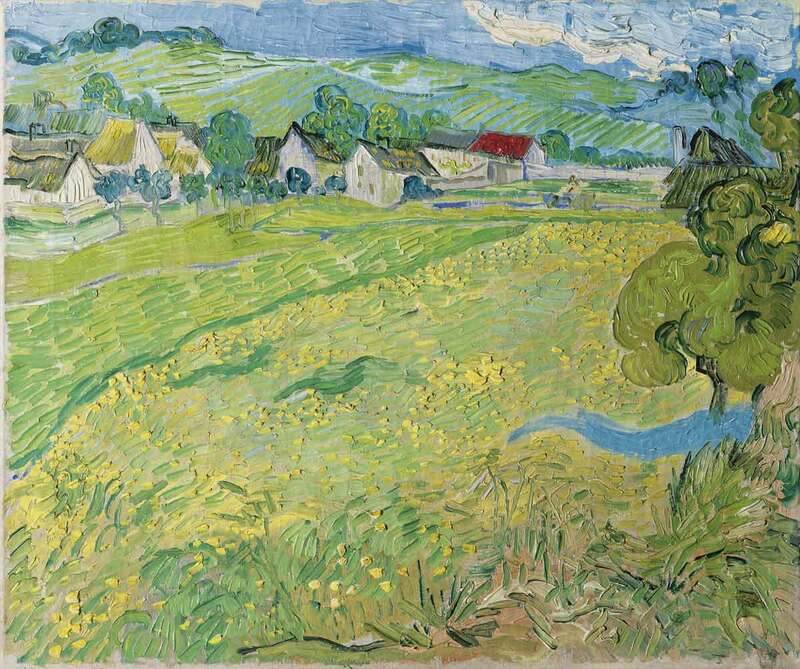 Found in 1819, the museum displays a collection of more than 1300 masterpieces. You can enjoy some of the very best works of the most recognizable Spanish masters like El Greco, Francisco de Goya, and Diego Velasquez, alongside other art titans like Bosch, Rubens, and even Raphael. The museum is enormous, and you’ll need at least 2 hours to circle it if you are an art lover – twice as much. – Last two hours of the day are free admission. The queue gets quite long for this one, so make sure you are at the spot at least 30min before they open the free entry. 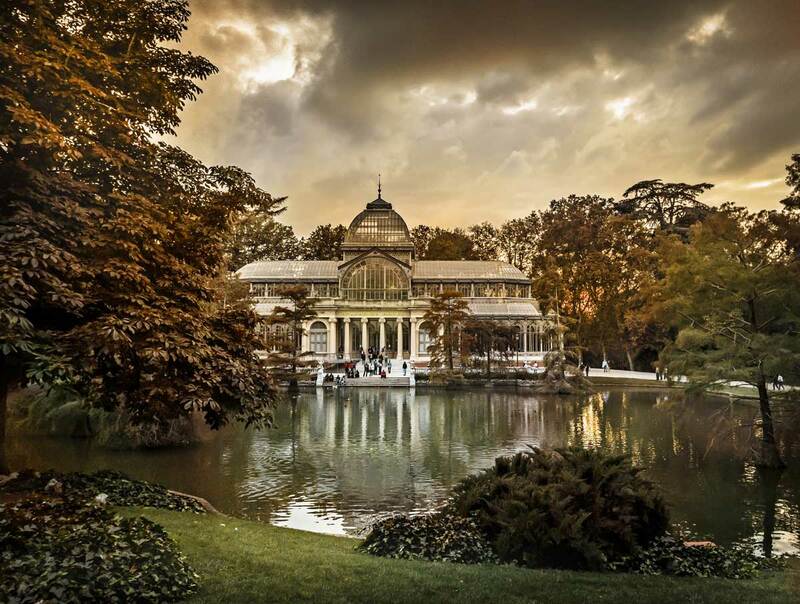 Right next to Prado is one of the most iconic parks in Europe – Retiro Park. Perfect place to give your brain a break from the art explosion you had in the museum. Take a walk among the many ponds sprinkled around the park, feed some of the ducks, take your Instagram picture in the Crystal Palace or row a boat in front of the Monument to Alfonso XII. Get some Bread and Jamon and make yourself a picnic. 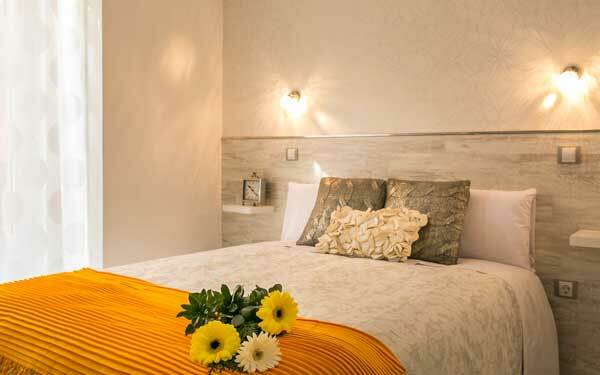 Retiro is the perfect place for you to practice the favorite Spanish activity – the Siesta. – Every Sunday, at midday, you can enjoy a free concert inside the park by the Banda Sinfónica de Madrid. 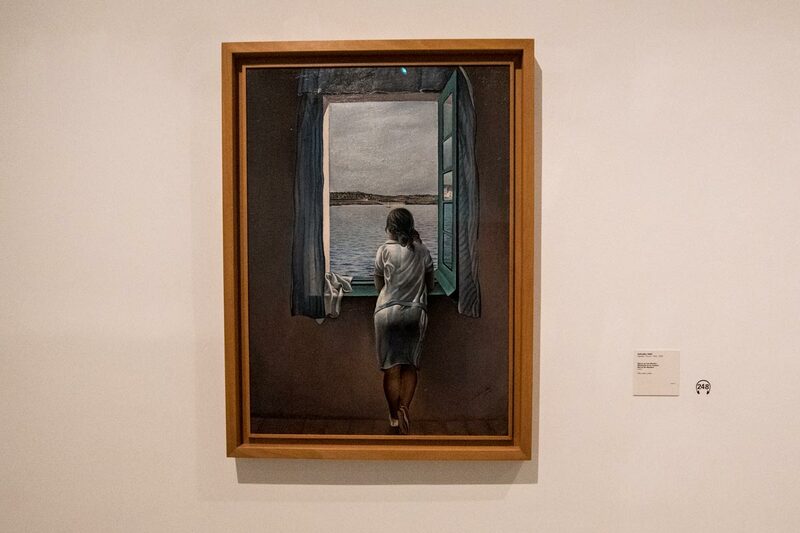 Once your siesta is over, make your way to the other iconic art museum in the city – Reina Sofia. Now, you may think “I already saw one of the most significant art museums in the world today. Why should I visit another one?” While they are both world famous, Prado and Reina Sofia have little in common. 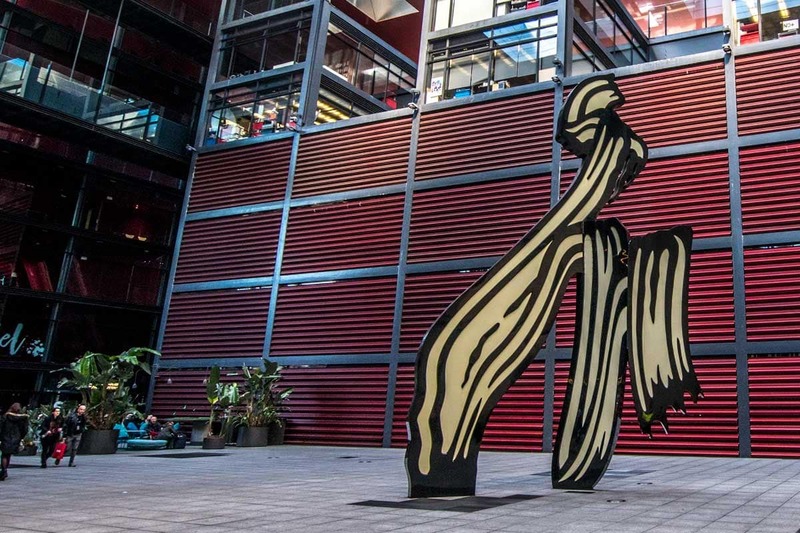 While Prado’s focus is on the Renaissance and Baroque art, Reina Sofia is all about modern art. Half of the museum offers curios art installation like old TV’s, mini cinema projections, light illusions, etc., while the other half will introduce you to some of the most significant masters of the 20th century, the geniuses that shaped today’s reality – Salvador Dali and Picasso. – Make sure you find Guernica – The most famous Picasso painting and one of the most significant pieces of art in the world. Glare at the canvass for several minutes and feel the energy this painting emits. 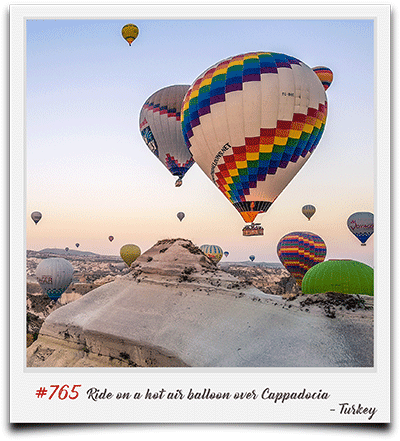 It’s truly a bucket list experience. From olives and meatballs to Anchovies or Chorizo. What they have in common is that they all taste great with wine. A great place to get some tapas and wine, close to Reina Sofia is Tinto y Tapas. You have more than two days in Madrid? Or you don’t really care about art enough to visit so many museums? Here are some of the other points of interest in Madrid. 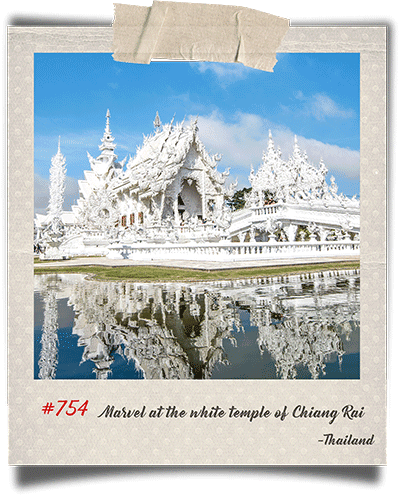 Situated next to the Royal Palace, The Cathedral is another free thing you can do in the city. Even though it looks old, it was actually finished in 1993. The interior is nothing special, but if you go into the museum, you can climb to the top of the church and get a beautiful panorama view of the city. 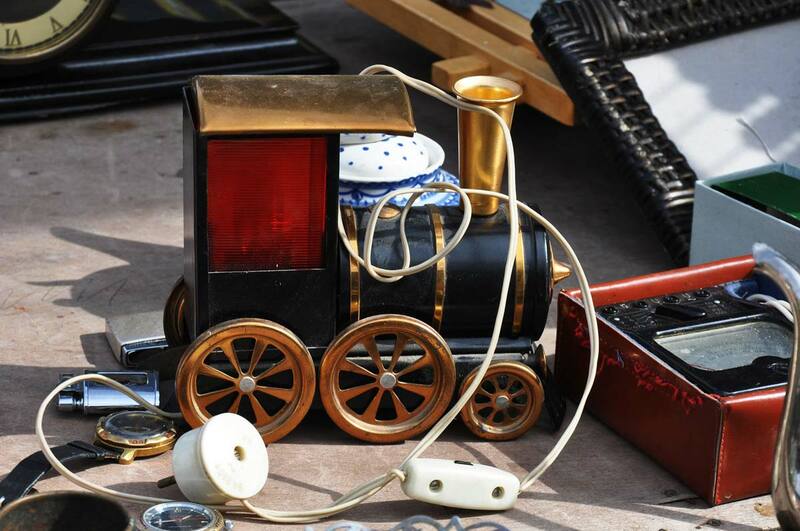 The biggest flea market of Madrid is located between Calle Embajadores and the Ronda de Toledo (just south of La Latina metro station and Puerta de Toledo station). It’s open every Sunday and offers you everything .. yup .. absolutely everything. Books,antiques,flamenco dresses,coins,bags,gas masks…Whatever you can think of, you can find it in El Rastro. 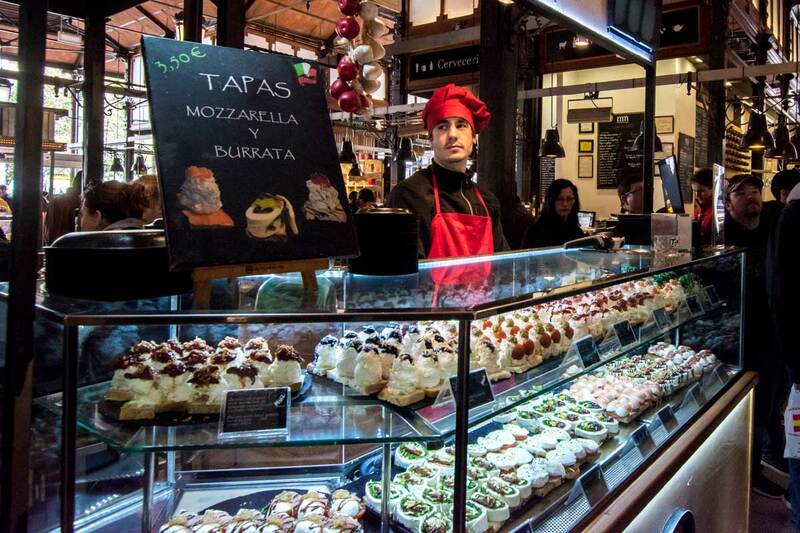 Mercado de San Miguel is a 100 years old covered market, situated right next to Plaza Mayor. It’s not your typical fruit and veggie market but more like a tapas market. 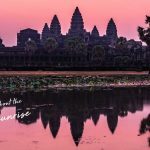 While everything there is overpriced but a single visit and tasting should not be out of your list of things to do. – Monday, Tuesday, Wednesday, Sunday: from 10:00 a.m. to 12:00 a.m.
– Thursday, Friday, Saturday: from 10:00 a.m. to 2:00 a.m. The chapel was built in 1669 as an ark to hold San Isidro Labrado, the patron saint of Madrid, remains. Today it’s the only representative of the Isabelline Gothic architecture style once common throughout the city. – The church is located on – Plaza de la Paja -means, Square of the Straw. It’s called like that because of the bishop living in the are (Don Gutierres Carvajal of Plasencia) who used to sell his surplus straw there. If you have the energy for one more art museum, the Thyssen Borhemisza Museum won’t disappoint. Started as a private collection of Heinrich, Baron Thyssen-Bornemisza de Kászon the museum houses an impressive assortment of masterpieces that spans eight centuries of European painting. Paul Cézanne, Picasso, Dali, Van Gogh, Rembrandt, Monet, Renoir, Degas, Rothko, and Jackson Pollock are just a sample of the masters you can enjoy in the Thyssen Bornemisza. – From 12:00 to 16:00 only for the visit to the permanent collection. Madrid is not only an art capital but also a football one. 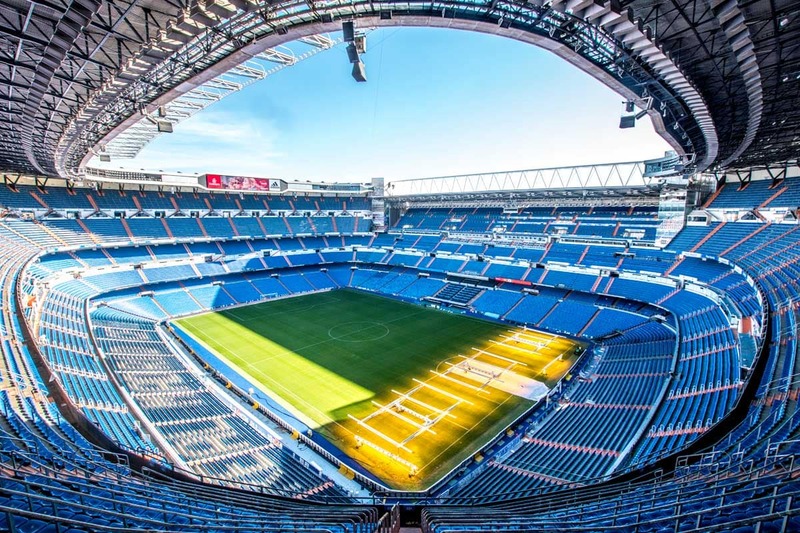 If you are a Real Madrid fan or simply a football fan, make sure you visit one of the most legendary stadiums in the world – Santiago Bernabeu. Get yourself a stadium tour and get familiar with the history of the most decorated football club in the world. Visit the locker rooms where Christiano Ronaldo and co get ready before a game, walk the tunnel and sit on the bench where Zinedine Zidane sits every match. Truly a bucket list experience for every Madridista. 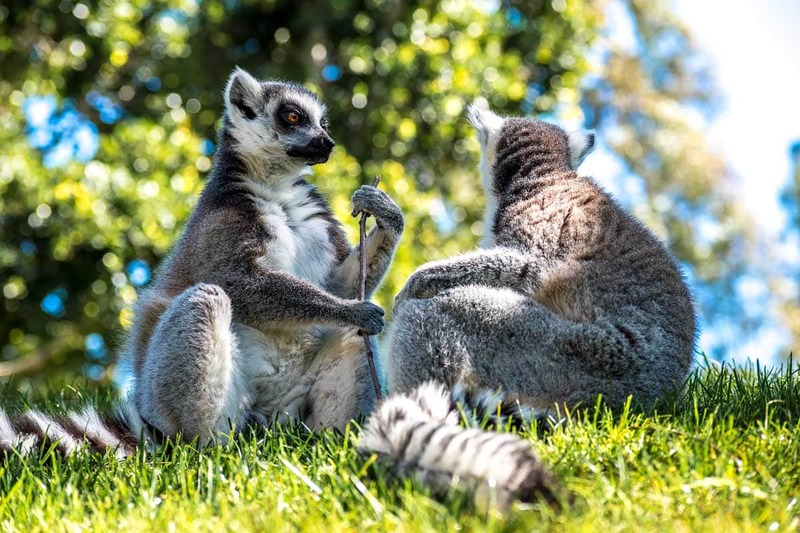 – Don’t get the audio guide for the tour. All sections of the tour have a noisy audio background that makes it impossible to hear your guide. 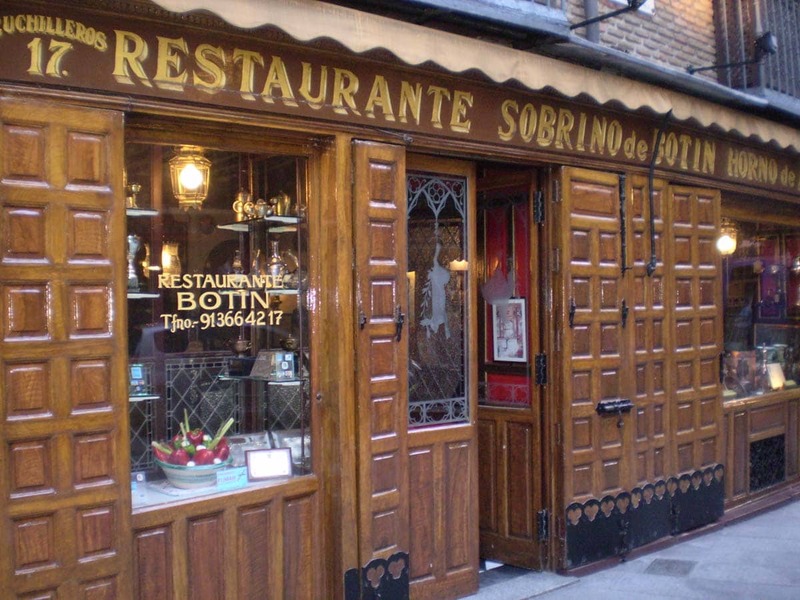 Between Plaza Mayor and Mercado de San Miguel, you can find the Guinness certified oldest restaurant continuously operating in the world – Sobrino de Botín. 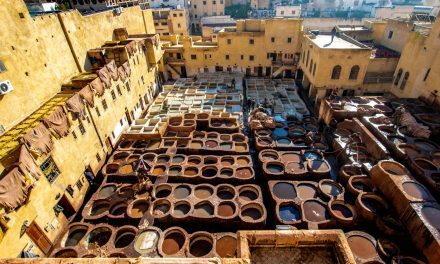 It was founded in 1725 by Frenchman Jean Botin and his wife and still serves the original 300 years old recipes. 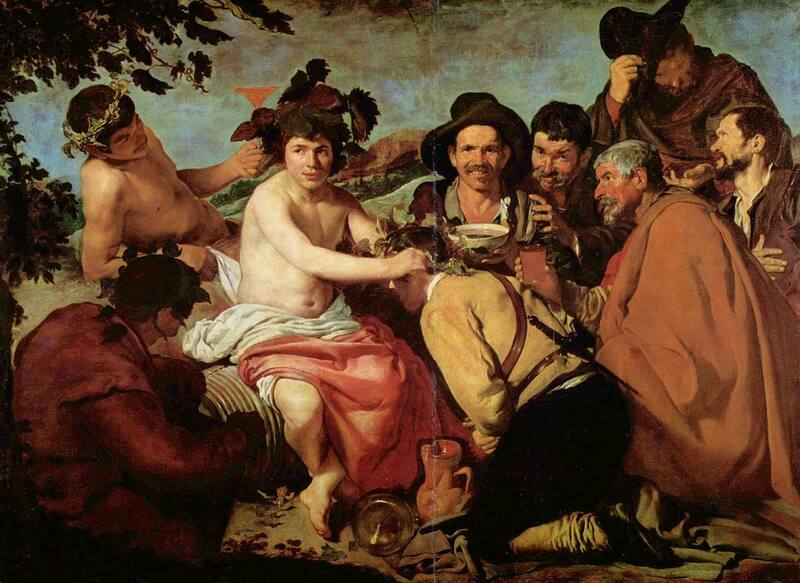 – Francisco De Goya used to work here while waiting to get accepted into the Royal Academy of Fine Arts. – It was one of Ernest Hemingway’s favorite restaurants, and it’s featured in his novel -The Sun Also Rises. I promise this is the last church on my list. 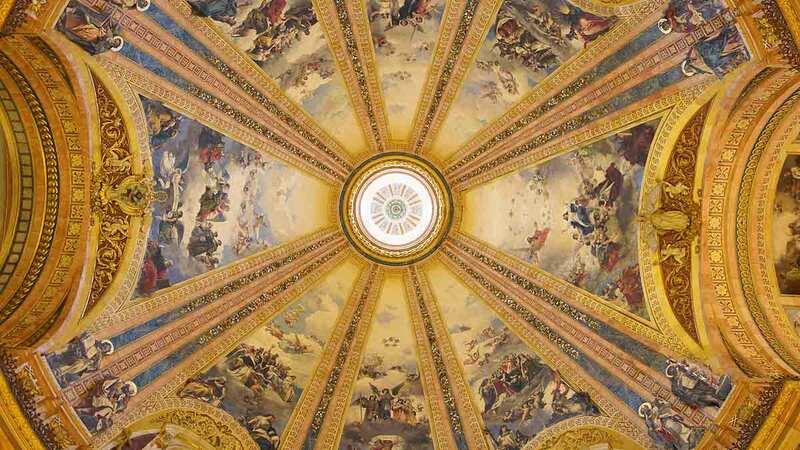 Constructed in the 18th century this roman catholic basilica is the most gorgeous painted churches in Madrid. 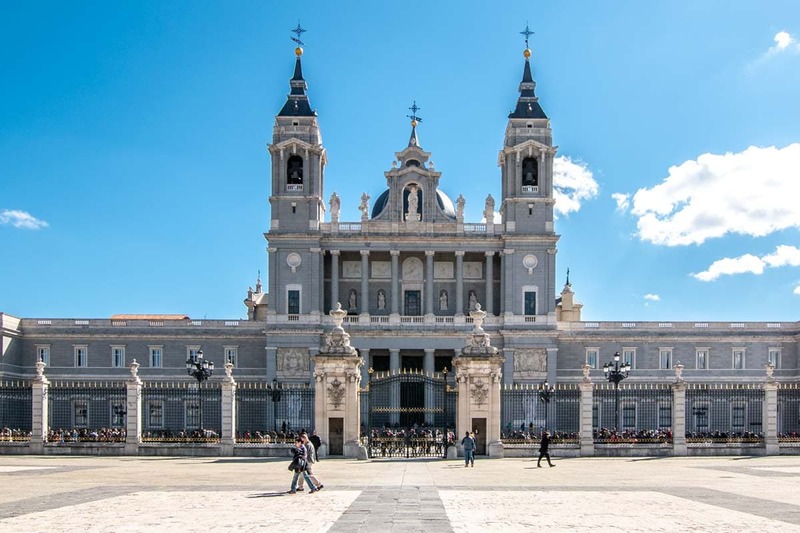 With its beautifully colored dome and paintings by Zurbarán and Francisco Goya, this basilica is a must-see for art and architecture lovers. Sat 10:30am-12:30pm / 4:00pm-6:00pm (if no religious events are taking place). 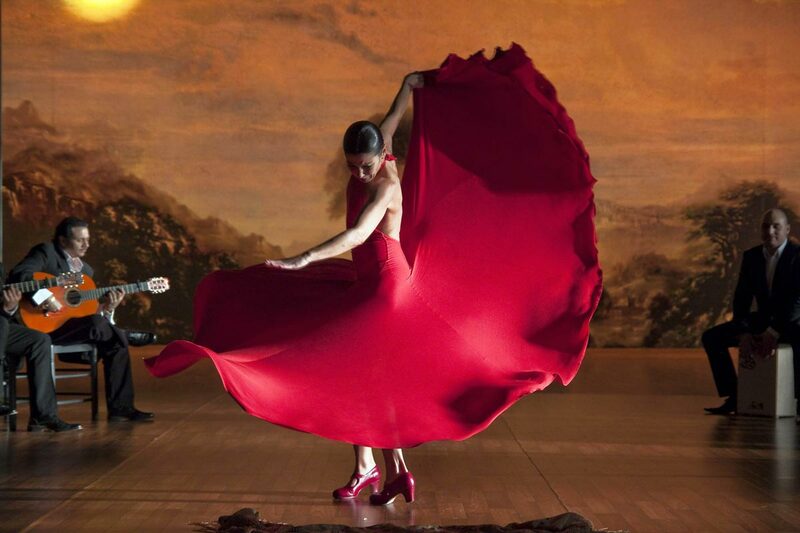 The most famous Spanish dance – Flamenco is a combination of art, passion, and color. To visit a Flamenco show in Madrid would be one of your top bucket list experiences – guaranteed! The very best show in town is offered by Cardamomo and it’s an exciting experience for the whole family. Trust me, nothing beats an evening in Madrid, enjoying tapas and wine while enjoying a Flamenco show from the best dancers in the country! Take a walk around one of Madrid’s unique and trendy areas. 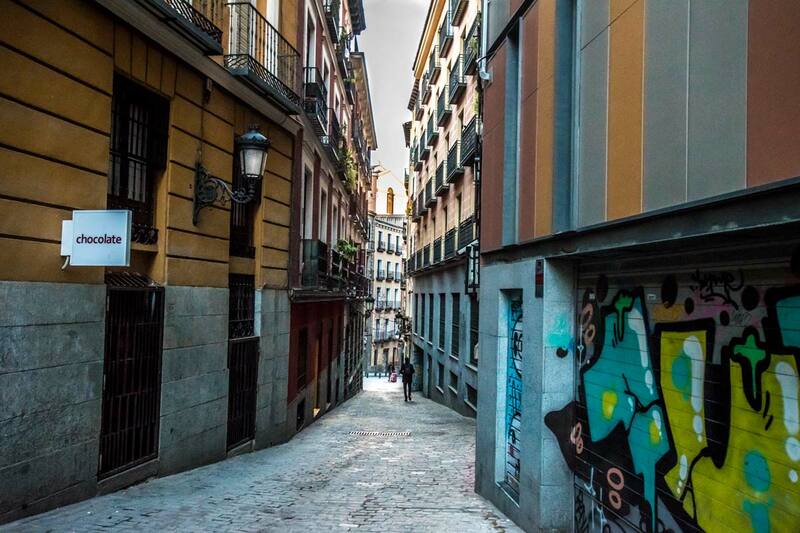 Malasana combines colorful street art with Gaudi-like houses to give you one of the best Madrid vibes possible. 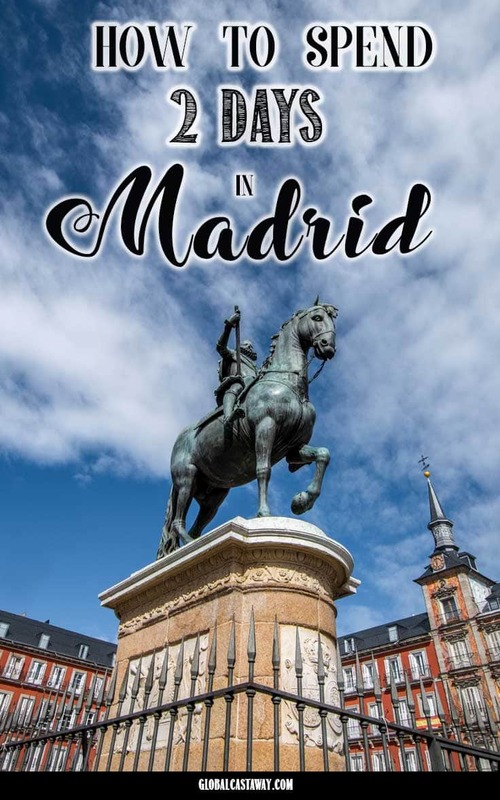 Some of the highlights of the area are the church of Iglesia de San Antonio de Los Alemanes, Madrid’s History Museum, and the lively nightlife. If you really have a lot of days in Madrid, and you want a deep impression of the Spanish history, you should make the day trip to Toledo. 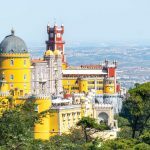 It’s only an hour drive – south from Madrid, and due to its extensive monumental and cultural heritage, the former capital of Spain is a UNESCO World Heritage site from 1986. 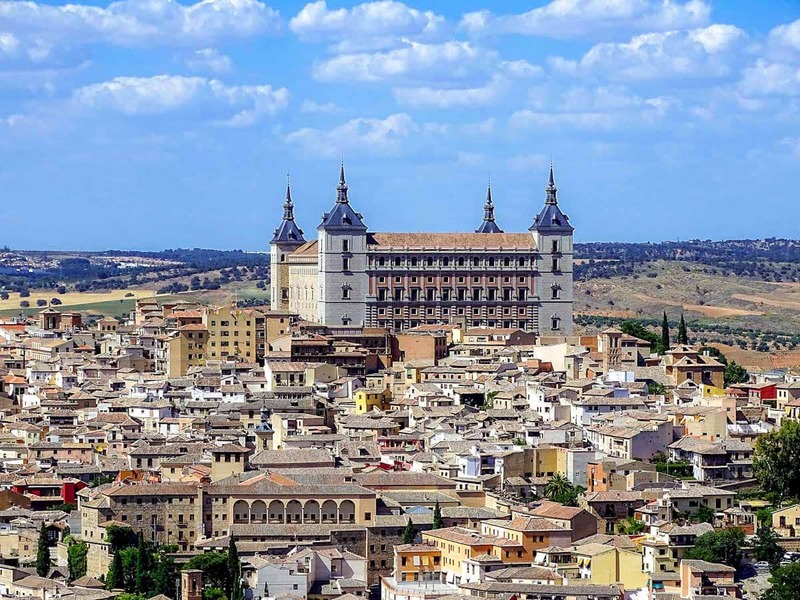 Since the city was an example of harmony between Christians, Muslims, and Jews, today you can see many synagogues, mosques, and churches there, including the most important Spanish Cathedral – The Primate Cathedral of Saint Mary of Toledo. ages by the Templars. It’s rumored even Hitler searched for it there. When to go to Madrid? Madrid is a city best explored on foot, so Spring (March-May) and Autumn (September – November) are the best months to enjoy it. 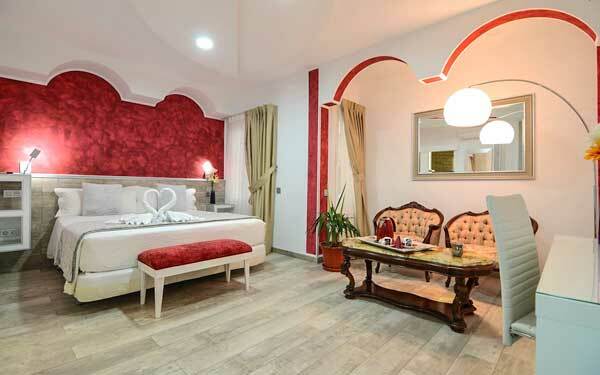 There are numerous option to stay in the capital of Spain. 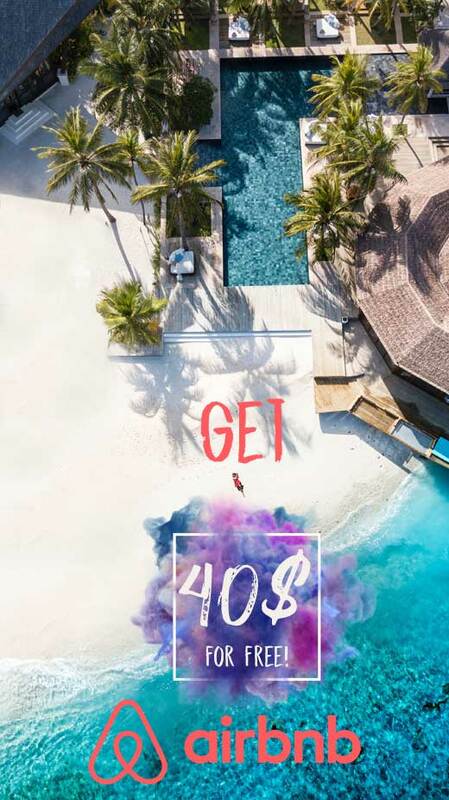 I’ll list three I’ve stayed in (or would stay in if I could afford it) but you can also check AirBnB (if you are new to AirBnB, get 30$ off your first booking) or Booking.com offers. Going to Madrid with your SO? This is the hotel for you. 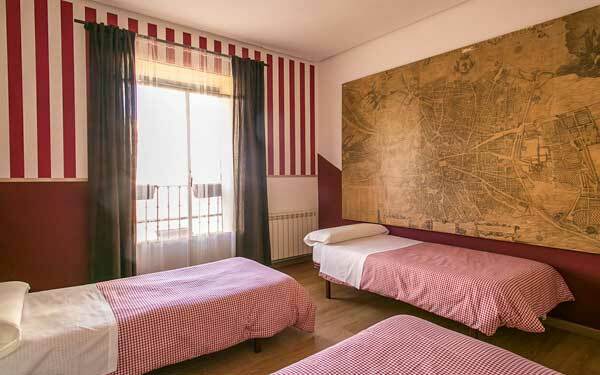 Located really close to the iconic Puerta Del Sol, Hostal Alexis Madrid will give you the romantic atmosphere you need to spend one of the best holidays of your life. 200 meters away from Plaza Mayor and 500 m from Puerta del Sol. Minimalistic design and even a balcony at a reasonable price. Do I need to say something more? 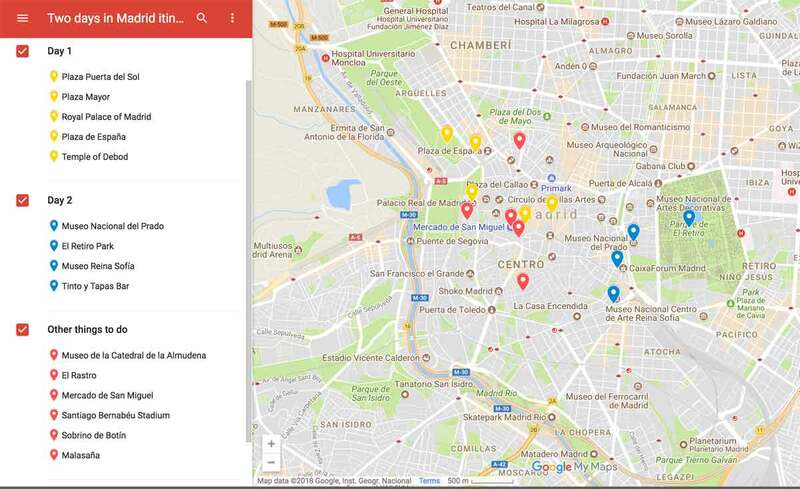 How to get around Madrid? Madrid is a very pedestrian friendly city, so my favorite transportation were my own two feet. If you don’t fancy the idea of non-stop walking though, you can hire an electric bike from one of the 120 stations spread around the city. It costs 2 EUR per hour. For more details, you can check their site. The public transportation system is also something you can use. Public buses run from approximately 6 am to 11:30 pm and the ticket cost 1.50 EUR (sold from the driver). The metro trains cover all the city, but the variety of lines can be a little confusing. Always check the metro map before you enter, to make sure you are going to the correct color line. The ticket costs a minimum of 1.50 EUR and the price increases with the number of stations to a maximum of 2 EUR. You can find the latest prices and some combined card options here. – Absolutely yes. Madrid is one of the safest cities you can visit in the world. 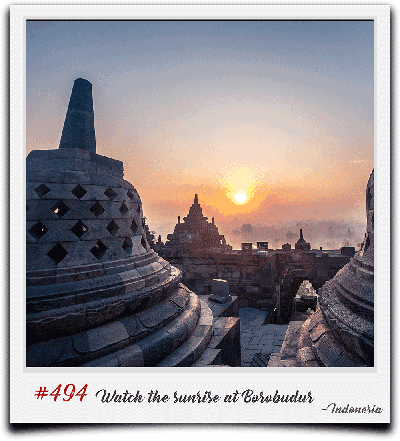 Nevertheless, you may be in the safest place and stil have a moment of bad fortune that’ll ruin your vacataion. 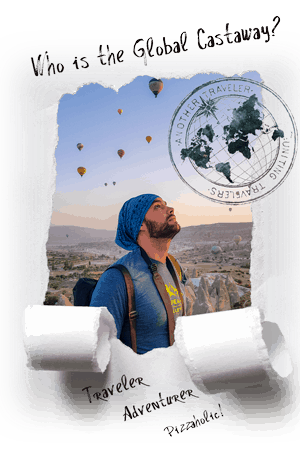 What I do for all my trips is getting travel insurance from World Nomads. 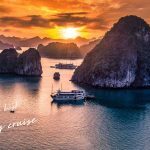 Once you have a few journeys under your belt, you can easily appreciate its tremendous value and the freedom it gives you. While I sincerely wish you never have to use it, life happens (even more when you are traveling) and it’s always good to be prepared. 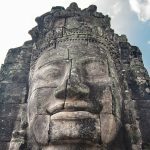 See how much your safe travel is worth! How to get from the airport to the center of Madrid? You can use either the metro (pink line) or the airport shuttle buses (cost 5 EUR). If you prefer a taxi, it should cost you 30 EUR. That’s all from me, I hope you enjoy your 2 days in Madrid! *Many thanks to Javi Perez who helped me build this guide. Some of the above are affiliate links and I will earn a percentage of the sale if you purchase through them at no extra cost to you. This helps keep my site running – so thanks in advance for your support!